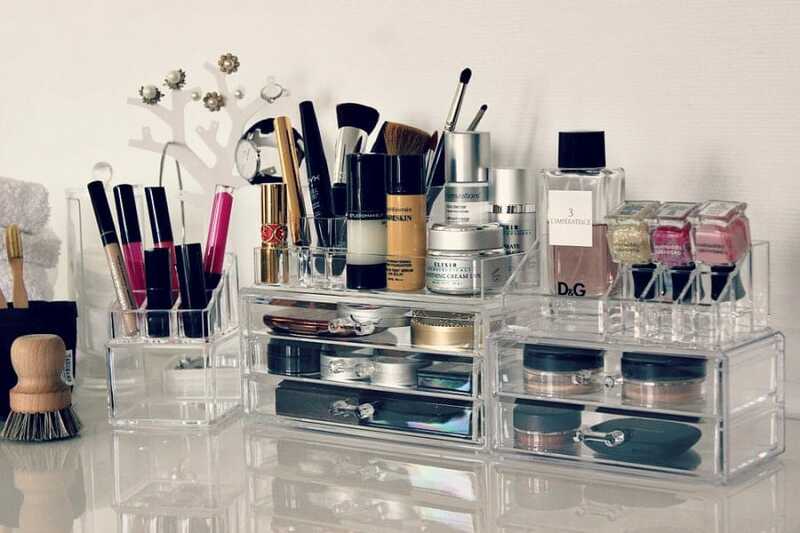 Vanity cupboards are great for storing makeup. They are very expensive but definitely worth the investment. 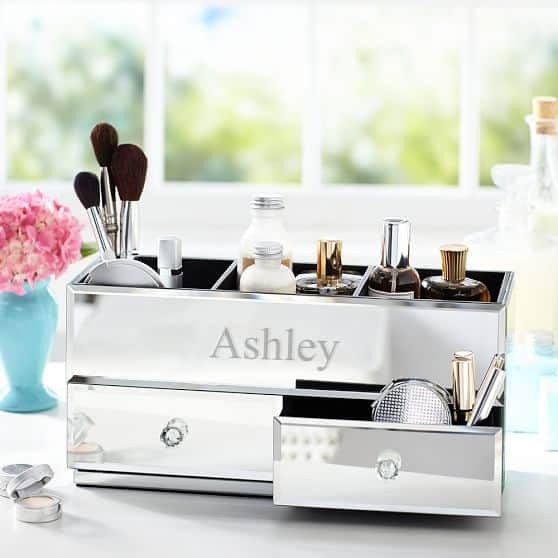 Makeup can be separated into compartments then placed into the divider boxes inside the drawers. 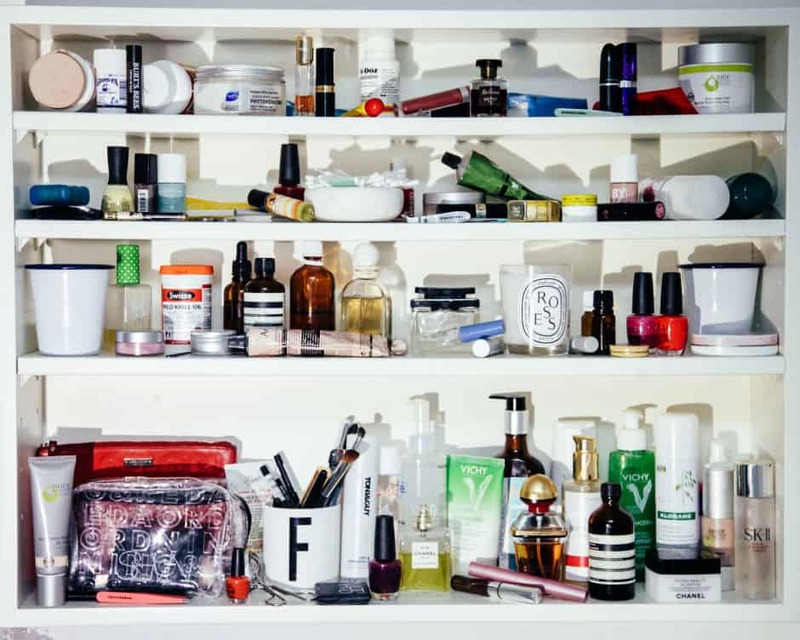 Everyday makeup can be stored in the drawers that are easily accessible. Any extras may be stored in the bottom drawers. 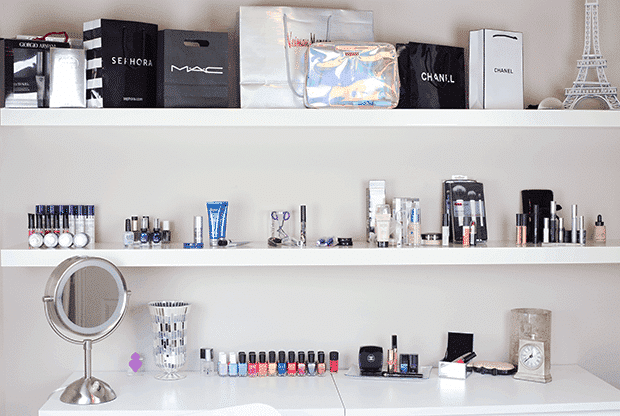 Shelves are a simple yet effective way to store makeup. Very cost effective option and your makeup is visible from a distance. Having shelves eases the burden of searching through multiple compartments. Budget friendly containers are perfect for the minimalist. Maybe you don’t want to invest a lot of money into storage then this method is ideal for you. Containers are clear therefore you can tell what their contents. Door hangers save a lot of space but a major disadvantage is that not many stuff may be able to fit on them. More suitable for smaller and lighter items such as powders, eye shadows, lipsticks and blushes. Additional storage would be required for storing heavier items like your foundations. 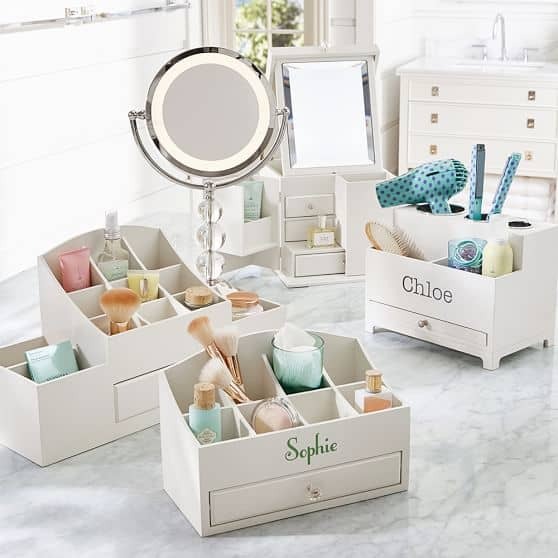 Mirror Boxes can be easily placed on top of a Vanity or flat surface or on top of bedroom furniture. Similar to the Mirror Boxes, Wooden Boxes can be placed on top of flat surfaces. Great for storing larger items and are easy to move around. Acrylic Boxes are light weight and comes in different shapes and sizes. Usually they are packed with a lot of compartments and dividers. 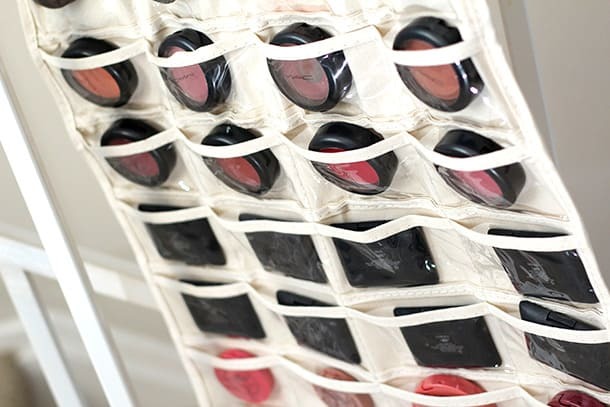 You can use them for storing makeup, beauty products and other personal items. Photo source: google.com. Credit to the rightful owner. 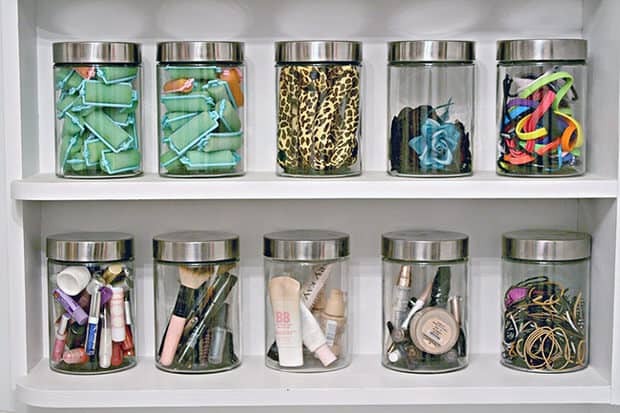 How do you store your makeup and beauty products?